2016 Global Lawyer cohort at the World Bank. This is the premise of ‘Global Lawyer’ – a unique Melbourne Law School subject that delivers practical learning outcomes outside the confines of conventional, classroom-based law courses. I feel very grateful to be one of the 25 students lucky enough to have shared in the experience this year. The core learning component revolves around interactive seminars held in Washington DC and New York City, where students engage in topics across a broad spectrum of public and private international law, legal ethics, and professionalism in transnational working environments. With seminars led by professionals operating at the cutting edge of their field, it was a rare opportunity to see how international law works in action. As an added benefit, our interlocutors often incorporated a lively discussion on Donald Trump’s presidential campaign and the UK’s impending separation from the European Union! One of the key themes that emerged was the often blurry intersection between policy, politics and the law. However, by having the opportunity to learn on-site and engage in frank discussions with guest presenters, students were given a genuine insight into these complexities and how they affect the practice of international law. In doing so, I came away with a much clearer understanding of the roles, relationships and obligations that different lawyers hold in the global context. We also undertook a practical, hands-on negotiation exercise where we were tasked with drafting an international agreement on the detention of persons under non-international armed conflict. Adopting the persona of either a member state or an international organisation, we were able to hone our negotiation skills and try to find a solution to a complex, multi-dimensional problem that is currently at the forefront of recent developments in international humanitarian law. 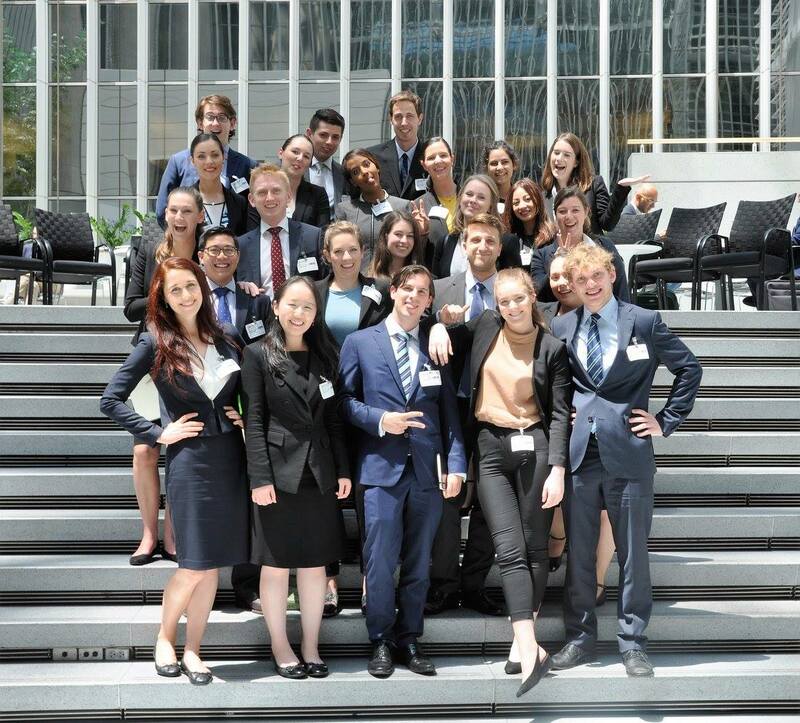 2016 Global Lawyer cohort at the International Monetary Fund. Besides being intellectually rigorous, the course is also designed to help students appreciate the wealth of future opportunities that are available in an increasingly globalised world. Eyes were opened, questions asked and ambitions raised. At organised networking events, our guests all spoke candidly about the various routes they took to reach their current positions. In stark contrast to my preconceived ideas, it was comforting to know that there is no linear path to being successful in international law. Instead, the profession is a sprawling and connected web of opportunities that increasingly allows for mobility in the pursuit of personal satisfaction. Perhaps most importantly, Global Lawyer is an incredibly enjoyable experience, and I developed lasting connections with both classmates and instructors. Group dinners, karaoke and building camaraderie through early-morning bootcamp (optional, but encouraged) was all part of the fun. But it will be hard to surpass our 3am visit to the Smithsonian Air and Space Museum! I left Global Lawyer feeling challenged, inspired and curious to learn more. The experience has truly been invaluable and I strongly encourage all those interested to apply for 2017. On behalf of the 2016 Global Lawyer cohort, I wish to sincerely thank Associate Professor Bruce Oswald CSC and Professors Tania Voon and Andrew Mitchell for their ongoing passion and commitment to making this journey possible. We are proud and fortunate to be part of a law school that can provide such unique opportunities.